WIth a strategic problem-solving approach, Physics for Scientists and Engineers utilizes Math Tutor and other tools to improve your understanding of key concepts. Paul Tipler was born in the small farming town of Antigo, Wisconsin, in 1933. He graduated from high school in Oshkosh, Wisconsin, where his father was superintendent of the public schools. He received his B.S. from Purdue University in 1955 and his Ph.D. at the University of Illinois in 1962, where he studied the structure of nuclei. He taught for one year at Wesleyan University in Connecticut while writing his thesis, then moved to Oakland University in Michigan, where he was one of the original members of the physics department, playing a major role in developing the physics curriculum. 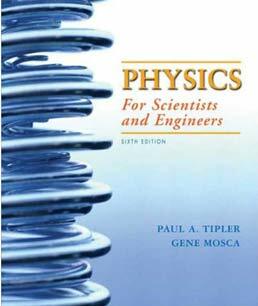 During the next 20 years, he taught nearly all the physics courses and wrote the first and second editions of his widely used textbooks Modern Physics (1969, 1978) and Physics (1976, 1982). In 1982, he moved to Berkeley, California, where he now resides, and where he wrote College Physics (1987) and the third edition of Physics (1991). In addition to physics, his interests include music, hiking, and camping, and he is an accomplished jazz pianist and poker player.